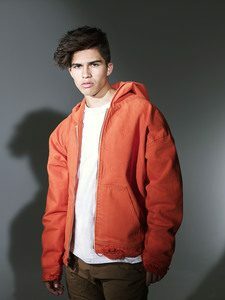 21-year old recording artist Alex Aiono released his new single “Does It Feel Like Falling”on September 15th via Interscope Records. 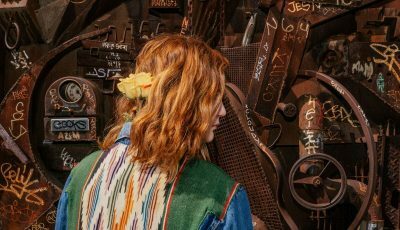 The track is produced by The Futuristics and Gryffin and features fellow Arizona native Trinidad Cardona. Aiono plays a half-dozen instruments and has amassed a following of millions creating his own “flipped” versions of popular songs, including his cleverly arranged mashup of Drake’s “One Dance” and Nicky Jam’s “Hasta el Amanecer” which has gone on to amass more than 58 million views. 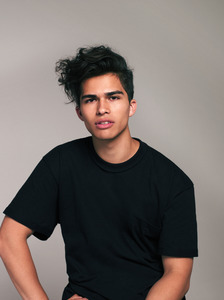 It prompted The FADER to state “Alex Aiono is the shockingly good YouTube singer the world actually needs” (Aiono currently has reached over half a billion views with 2.4 million Instagram followers, 5 million YouTube subscribers and 2.3 Facebook page likes). 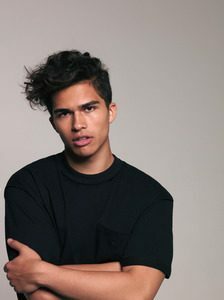 Earlier this year Aiono released his own music, “Work The Middle” and “Question,” to great acclaim, and collaborated with German DJ Felix Jaehn on the track “Hot2Touch” which spent three weeks at #1 in Germany and has since been certified gold. Collectively “Work the Middle,” “Question” and “Hot2Touch” have accumulated over 118 million streams. With a digital fan base of over 11 million active followers and subscribers, and averaging a million views per day on his YouTube channel, most impressive is how engaged Aiono’s fans are with every concert, song, image and post, finding refuge in his energy. That love for production would eventually lead Alex to that “One Dance” moment, “I love taking two different songs that have some kind of common thread and blending them together to make something new,” he says, noting that the Latin-influenced rhythms of “One Dance” inspired him to weave in elements of “Hasta el Amanecer” in the production. Alex followed up his debut single with the release of “Question” and a collaboration with German DJ Felix Jaehn on the track “Hot2Touch” which spent three weeks at #1 in Germany and has since been certified gold. Collectively “Work The Middle, “Question” and “Hot2Touch” have accumulated over 118 million streams. In September of this year Alex released “Does It Feel Like Falling” which was produced by The Futuristics and DJ Gryffin and features fellow Arizona native Trinidad Cardona. I’m in the studio in LA working and there is a beat blasting. I’m surprised you can’t feel that sub-woofer wherever you are. Right now we’re working on music for my first album, and that keeps me in a super hype mood all the time. But I would say that if I’m in a bad mood, I bounce back to some of my Pop’s favorite old school records: Stevie, Bob Marley, even some shameless Madonna on BLAST. I don’t know if I ever thought consciously about being a musician like that because my family is so naturally into music. I don’t remember a single moment in my childhood without singing, harmonizing, instruments and encouragement. But I do remember singing classic Justin Timberlake songs in front of my sisters and imagining what it would be like to play for massive crowds. So don’t get me wrong, I love Arizona and loved growing up there, but when people think of Phoenix, I’m not sure it’s seen by people as a music mecca like Detroit, Philly, NY, Atlanta… But the people where I grew up were super down with parties and singing church music and I think what influenced me was that collaborative spirit, the community vibe where if you were to meet other musicians, jamming out is just automatic. What are all the instruments that you can play? Why so many? Do you have a favorite that you enjoy playing the most? My favorite thing about music is the challenge to be better. I love to put that challenge right on my shoulders and push myself to be better every day. When it comes to instruments, I see each one as a notch on my belt. When I visit new studios or music shops, I’m drawn to the instruments I don’t know how to play yet. The piano, guitar, drums, bass, and ukulele are always fun to come back to, but I always want to learn more. My approach to this has never changed. I’m intense and ambitious, but I am patient and I trust the universe and I trust the team I’ve assembled over the past few years. I’m not an artist who’s grabbing at every new sparkly toy they see laying on the ground; I am focused and consistent, and my whole team at Interscope approach it in the same way. I didn’t anticipate singing a #1 single in Germany this summer so I guess what shifted was time management with a lot of international travel. Some days breaking into the music industry felt like chopping down an oak tree with a butter knife but I knew I just had to keep chipping away and find the fun in all of it. And I’m going to keep doing it, bro. Can you talk about when you first started “flipping” songs? What first gave you the idea to do it? What’s been your favorite “flipped” video so far that you’ve done? How do you about choosing the songs that you work with together? Were you ever surprised by the incredible feedback and reaction from fans to these videos? I started flipping (or mashing up) songs when I was a teenager and I was doing a lot of things at once while doing it. I was learning as much as I could about songwriting, writing all the time, and releasing stuff here and there on my own, but mash ups are just me being a student of the game. I would learn and study records that I loved and try to break them down and it just got me mashing them together. I wanted to build an audience so on top of posting up covers, I really love watching what’s coming up online and on the charts and trying to choose songs on their way up and not the way down. It’s hard to not be surprised. My management has been consistent about real growth and when I first started with them my first YouTube video was a trick basketball shot and I had no views or subscribers. To see millions and millions of views—like tens of millions—is amazing. More amazing is the quality of the fans I have as people. They are awesome. Our world may be going through some tough times, but I’m inspired by my fans. 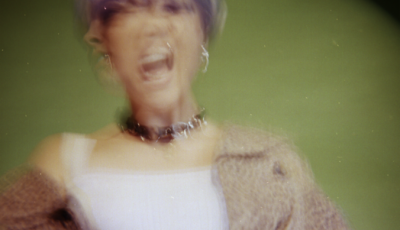 What was the inspiration for your newest single “Does It Feel Falling”? What was it like working with the producers The Futuristics and Gryffin on it? How different or similar do you think this track is to your first single “Work The Middle”? I think what you’re going to always find from me on records is that—with the exception of the ballads—I like tempo records that are kind of intense and lyrically tell a story that can work acoustically. Obviously, I’m grateful that the label teams me up with such super dope producers, but they make me want to perform better, write better, sing better. On the personal tip, DIFLF hits close to home because this year I definitely learned two things about relationships. One, I like being in them. Two, the road does not like being in them. And right now, the road wins and I want it to. I unexpectedly fell pretty hard for this girl and it was really intense but then it was tour-time and the relationship evaporated. But it definitely felt like falling in a good way. I understand that you are currently in the studio working on your debut album for Interscope Records. How has it been going? Has anything surprised you about this process? I guess because I got a big jumping off point from YouTube, people don’t know how long I’ve been at this even though I know I’m pretty young. I was actually first courted as a songwriter by a couple of different publishers and first signed to BMG Music Publishing a few years ago. I wrote for other artists and actually wrote the theme song to Meredith Viera’s TV show on NBC. So I get how working on an album is a marathon. I think what has surprised me most is how grateful I am that BMG invested in me early and gave me time to develop so that when Interscope puts me in the room with guys like Gryffin and The Futuristics and so many others that I don’t choke and sit there lifeless, I’m in it and ready. I’m inspired more each day and I guess that surprises me. You have spent most of this year touring. What was that like for you? What were some favorite venues and/or crowds? What do you think is the most challenging and best part about being out on the road touring? Touring has been incredible. I love performing. I love it. I love people. I love entertaining people and getting the direct feedback from them. Radio is a tough gig. You guys play music and get research and ratings and I imagine that can be hard when you have to believe in new dudes like me. But touring is my research. Are these songs connecting with people? Are they as into my original songs as my mash up songs? And those are some real honest questions and to know it’s real—really for real—you have to get up on stage and face it. So to see kids my age and younger, all over the world, singing every lyric to every original song (when a lot of them don’t even speak English fluently), was just incredible. Two weeks ago I had a sold-out show in Hamburg, Germany and we only released a snippet of “Does It Feel Like Falling” the day before. The fans there sang the whole way through and it’s like the best explosion of energy. It’s telling me “Man, you’re going the right way! Keep going!” I hear some artists complaining about how tired they are all the time and I think of my mom who works at Jet Blue, standing on her feet day and night, plus raising four kids. I have no challenges. I have privileges. So no complaining. How has it been going hosting two Radio Disney shows? Phil Guerini, his team and the whole RD family have been so amazing to me. I grew up on Radio Disney and they have made being a voice for them pretty awesome. I’ve gotten to co-host two RDMAs, host the countdown and hear my music on the countdown. But I also get to interview artists I admire and some artists that are friends of mine and that makes it fun for the team and I think makes it easier for the artists that come on. Plus we’ve managed a way for me to stay consistent with them digitally, even when on tour or in Europe for a couple weeks. With the summer being over, what is something fun that you tried for the first time? I tried eating Currywurst in Germany. That was not fun. But saying that I tried Currywurst in Baden Baden is pretty hilarious. No doubt. I’m going to be honest with you and tell you that I get torn. On the one hand, when I think of people working hard just trying to get by, I wonder if the best thing I can do is create music to distract them from the pain that’s out there. And I think that’s real. But at the same time, aren’t artists supposed to say things that other people are feeling but just say it in a way that maybe non-musical people might not. I’m not mad at that and I’m not afraid to express my views on the world. But, I’m not an expert and I also see a lot of artists get up and speak like they have a PhD in politics and I think that can turn off a lot of kids my age. 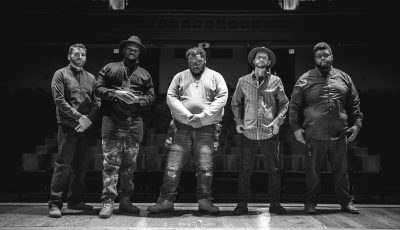 At the moment, I think today’s hip-hop is yesterday’s folk music. Bob Dylan spoke out with some real blazing lyrics and today all kinds of rappers are doing it, too. But we need more than single “We Are The World” moments, we need a choir of diverse voices pushing the envelope. I’ve always idolized Stevie Wonder, Justin Timberlake, John Legend… but I listen to a ton of hip hop. Right now I’m inspired by Sza one day and Bruno Mars the next. I got to write with John Legend a couple of times and that was just incredible. But like a lot of artists, I’d love to work with the new greats like Pharrell and Justin Timberlake. I want fans to walk away inspired and having fun. Our shows are just super high energy and of the moments I remember most from all the touring in the past year, I remember the diversity of the audience. There is nothing more American to me than looking out at a sea of faces and seeing just everybody out there. From girls in hijabs to street dudes to African Americans to Hispanics to white kids to Asians… honestly, it’s so awesome because all the fans are just cool with the music and with each other and they party and look out for each other… and if there is an overall message that I want to say, it would really be we welcome everybody. Do it one day at a time and don’t do it for the money and the fame, do it because you love it and try to get better every day you wake up. Write songs. Sing songs. Take risks. Fear nothing. Have faith. I would be blessed if they would share this interview with someone they love and maybe join the journey with me.